Christophe folded his clothes, laying them out on his bed before placing them in his suitcase, precisely and methodically. So it had ever been. He did not need to turn from his to task for the exact layout of the room to be available to his memory. Burnished mahogany armoire to his left, ornate chest of drawers in the recess next to the fireplace and elegant sash windows to his right. The deep sash windows, each lower pane lifted precisely six inches to allow a healthy breeze to refresh the stale air, were dressed in elegant plum brocade curtains. Nothing had changed since he had left all those years ago. “Monsieur?” His manservant stood in the doorway, hands open in enquiry. “Oui, Gaston. I am ready.” Christophe snapped shut his case, locked it and pocketed the key. “Non, Gaston. I am here to do my filial duty, that is all. We will leave as soon as the service is complete and the mourners have left. They expect nothing more, nothing less.” Christophe stared at Gaston, daring him to comment. The father and son had not spoken in twenty five years, and now Monsieur Clement the elder was dead. If they had anything to say to each other, it was too late now. Here’s my latest entry to Magpie Tales. 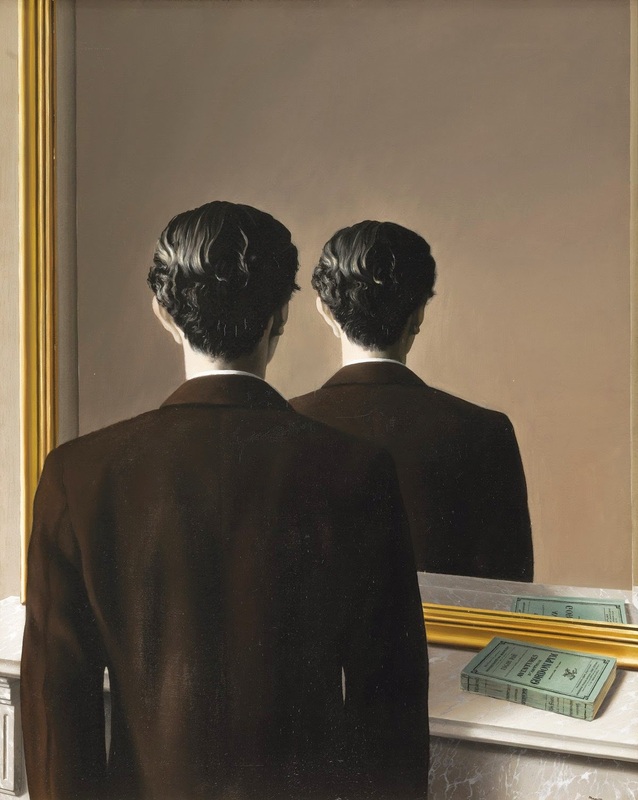 I have been fascinated with Magritte’s art since discovering him as a teenager – my step-Dad has a book of his art on the bookshelves at home. ‘Ceci n’est pas une pipe’ was my favourite, partly because of the play on words. This story is certainly not reflective of my relationship with my step-Dad, thank goodness! I thought there was something mournful about this painting, hence the tone of my piece. I hope you enjoyed this, do let me know what you think. Oh, what a sad piece for Father’s day. Yes – it wasn’t my intention, not at all! Sometimes, the muse is a dark mistress…. The story is powerful all by itself: a grown child doing the right thing for his father, not out of love, but duty. So sad and so many implications. Indeed – somebody needs to break the chain, but learned behaviour and DNA are a powerful combination. In my mind, Christophe only has Gaston for company…. Sometimes we simply lack that connection.. and yet afterwards it’s always too late (as my father always said)..
Makes me thankful for a good relationship with my dad! the story is really powerful with a unexpected ending!! i loved reading it!! this resonates with me- excellent. Indeed, yes they do. It’s a sad state of affairs. It’s always sad when we lose the connection to our history, as you’ve described in this piece… No matter what happens or how we like/dislike our parents, they are still a link to the past and what makes us who we are. I do feel the sadness, and for me the connection to the painting would be that this man, in losing his father with so much unresolved, has lost his own reflection in the mirror and a part of himself. Ah… That was wordy… *smile* Liked it! Indded, you are right, he has lost a part of himself. So many fractured and fractious relationships exist in real life… Thank you for your very thoughtful comment! Thank you, Anna. I hope it hasn’t unsettled you too much…. Thank you, Lorri. Yes, time can have that effect. That’s the secret – relationships must be nurtured and cherished while we are alive and before it is too late. Thank you, Eddie. Yes, we would be better served swallowing pride whilst we can! How sad! We should never wait until it’s too late. Regrets live on forever. Indeed, we shouldn’t wait, I agree. Yes, well, some of this is written a little from my own experience, although thankfully, bridges were built before it was too late. I hope the same is true for you.